No matter what shape and size, or how cheap or expensive the brand, every car needs to be maintained according to a service schedule that is set out by the vehicle manufacturer. Often, however, the paperwork associated with the servicing of a car can be missing. That can be for all sorts of legitimate reasons, such as losing it during a house move or being mislaid by an elderly relative who is no longer driving. Thankfully, recovering a missing service record is possible – and pleasingly straightforward. But it’s important to understand the significance of a service record. What is a ‘service history’? Typically, the service schedule alternates annually between minor and major maintenance jobs, plus a few extra tasks that are performed according to the car’s age and mileage. It’s designed to keep the car running in tip top condition, doesn’t break down unexpectedly and ensure it’s safe and fit for the road. When the time comes to sell the car on, buyers like to see clear evidence that it has been serviced to this schedule. It’s often referred to as FSH or full service history in the trade. The history can come in three forms. There’s the traditional method, which is where the garage that performed the work stamps the vehicle’s service book and records the mileage and tasks performed during the service. This book is typically kept together with the car’s handbook and various warranty documents, more often than not languishing in the glove box. More thorough drivers will always insist on an invoice at the time of paying for their car’s service, and collect those invoices. These itemise the work carried out, cost of each job and any parts replaced. Essentially, they form a paper trail that reinforces the log book with a detailed picture of work performed over the car’s lifetime. And finally there is the more modern approach: the online service record. Car makers now record and hold online the service history of any car maintained at a franchised dealer. It can be produced at the touch of a button, by any of the manufacturer’s dealers. If you have mislaid a car’s log book and any accompanying invoices, yet you know the car was serviced by dealers that are franchised by the manufacturer, all you have to do is contact your local showroom. It’ll be able to access the car’s service history and produce copies – upon proof that you are the vehicle owner or registered keeper. If you are looking to buy a used car that is missing its service history but claimed to have one at franchised dealers, speak with the service department over the phone. With basic details, such as the car’s registration, they can quickly confirm whether or not the car you want to buy has been maintained by any franchised dealer, and what work was carried out when. If the car was serviced by an independent garage, then sellers will be at the mercy of their memory. Those that can remember where work was carried out should be able to have duplicate paperwork produced after contacting the garages in question. Drivers might be tempted by a used car that’s missing servicing records for the simple reason that it’s cheap. Especially if it has been inspected by an engineer and given a clean bill of health. And once they have bought the car, they can try to piece together its service history with a bit of old-fashioned detective work. Send a V888 form to the DVLA, requesting details of the car’s previous owners. This costs just £2.50. But remember: there’s no guarantee past owners will want to help you trace a car’s service history. Is a service history valuable? Independent research in the UK suggests that any car without a service history is worth somewhere between 23 and 26 per cent less than the same make and model with a complete service history. Given that the average price of a used car sold at trade auctions in the UK is just under £8000, a lack of service history could see a used car’s value plummet by up to £2000. I’m purchasing a 2006 vehicle, however MOT records missing from 2013 — any explanation? I have just purchased, privately, a Rover 75, which the elderly seller says has been serviced every year at a specific garage, but she had no proof of history. I contacted the garage, but they say they cant give me any info because of the data protection act?? 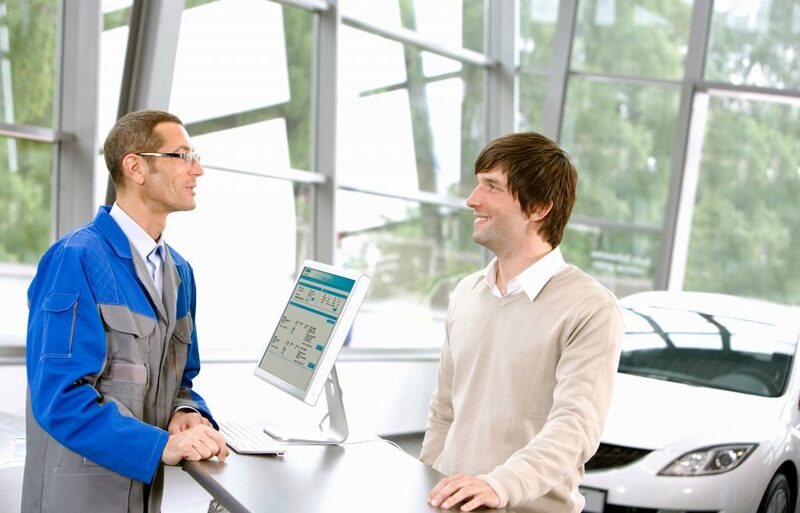 A lot of newer cars now aren’t being issued with service books – the service history is logged online instead – which can be handy in case you lose the book – but it is actually just a clever way by the big car brands to make you feel you have to go to the main dealer to get a full service history logged as independent garages cant do this. RIP OFF! Luckily I used a great little independent garage for my last service and they do a USB stick with invoice, service history etc all logged on it. Its on a keyring so I just clipped it onto my keys et voila… Service History for when I sell mine on. They even put on a couple of pics of some extra bits I had tidied up on the car, good for showing that it had been looked after. Actually if the garage is registered they can do it. And also if the garage is genuine you will get an invoice to back it up. How do you retrieve service history online? Wow, Thanks for sharing it and it is very important to service your cars on a regular basis either it is Audi or any other cars.